Love Happens Teasers February 2018 – Upcoming Zee World drama series ‘Love Happens ’ teasers , previews, updates, episodes, highlights and spoilers for February 2018. Isha refuses to stay in Bhola’s house and comes up with a way to lure him into the mansion. Can Bhola fight her trap? Kaushalyas presence unsettles Grandmother and it seems that Kaushalya has some sort of revenge planned for her. Isha plans to charm Bhola with all the luxuries found at the mansion, luxuries he may not be able to resist. Meanwhile on his way to another village, Raghu comes across a damsel in distress. But will he be the one to save her? Isha succeeds in getting Bhola to live at the mansion with her, how will his father react to this? Will this also cause a rift between Raghu and Bhola? Matters between Grandmother and Kaushalya worsen when more truth comes out. Raghu and Janki leave the village in order to help out with Basanti’s father, however something seems to be wrong between Kaushalya and Basanti. Does Basanti have something to do with the secret behind Kaushalya’s presence. It seems that Raghu has undergone quite the change, what could have happened to him while he was away? As everyone will soon start to see though, the all new Raghu definitely falls short to the man the villagers knew him to be. For some reason, Basanti strongly desires to be close to Raghu, what will Aanya do about this? It seems that Raghu has returned to the village with quite the money problem and makes a decision that hurts Aanya very much. It seems that Raghu is not who he seems to be. Aanya finds this out the hard way when she catches Basanti and Raghu with each other. Grandmother also begins to doubt her own grandson and suspects that Kaushalya is behind everything. Upon being caught red handed by Aanya, the fake Raghu claims insanity. This devastates Aanya and doctors are arranged to come and diagnose his problem. What will the doctors say? Will this just become another money making scheme? Thinking they have won, Kanhaiya and his thieves flee the village with the money but something makes them return. Meanwhile, Raghu has escaped his kidnappers and comes back to the village. How will the village react when they see Raghu? Now that Raghu and Kanhaiya have both returned to the village, will it be the time for a showdown? How will the villagers know who the real Raghu is? And how will the secret that Janki had twins affect Raghu and his mother? After Bhola’s action, Isha realises that she is losing her hold on Bhola, what plan could she possibly come up with now to lure Bhola under her clutches again? Sona’s wedding gives her an opportunity she won’t resist. After coming up with the idea to build a motel, Raghu goes to two villager friends for help to make his dreams a reality. Could he perhaps be walking into a trap? During this time, Bhola sees something from Isha he wishes he never did. Bhola is back for Round 2 against the thugs at the motel. Will he get himself into more trouble though? Fighting against Dabral seems like an impossible task for Raghu; until Dabral unknowingly slips up and becomes his own worst enemy. Dabral is taken aback by Isha the “princess” but Somnath doubts her identity. He doubts her up until an unexpected member of Raghu’s family joins the con and ends up saving the day. But will our clan succeed in getting Raghu’s land back? It’s the final showdown between Raghu and Dabral! All seems to be going steady until Somnath causes an upset in the plan. This time, will Isha finally prove her support to the village and to Bhola as our family fights for their future? 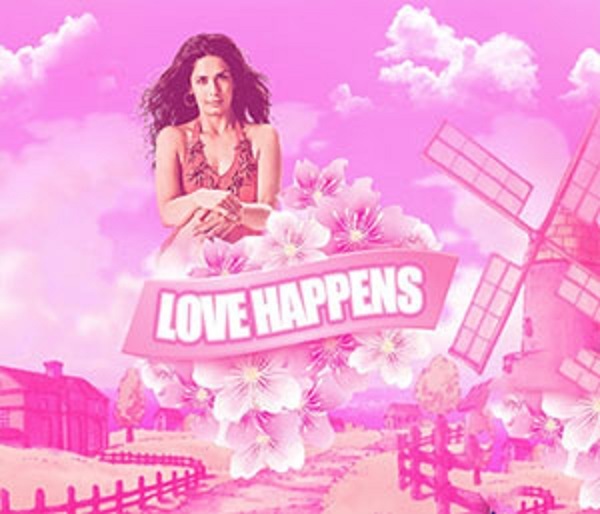 Love Happens airs on Zee World from Mondays to Sundays at 19h00. Premiere episodes of Love Happens air on Zee World from Mondays to Sundays at 19h00. As we spilt right here, Zee World debuts six new novelas over the next six months. The first is Love Happens, which premieres on Monday, 30 October 2017 at 19h00, replacing The Vow 2once it ends. The story centres round Aanya, a daring, young girl, born with silver spoon in her mouth. She believes in the power of money and uses it to her advantage but fate has something else in store for her when she comes face-to-face with a new world in a village. Aanya’s new rural life introduces Raghu into her life. Raghu is a villager and sparks fly between them... and not the good kind.